Ugh I wish they'd just make another big purple one, but grey is at least a new colour. The name translates to Violet. I think it will either be a new shade of purple or one we haven't seen in a while. I just placed my order for these. They're something new at least. Alpacasso aren't as popular any more in Asia as other series from Amuse, so I really don't think we'll have anything for July when Amuse can focus on its other releases. @Kittyblacksheep wrote: Alpacasso aren't as popular any more in Asia as other series from Amuse, so I really don't think we'll have anything for July when Amuse can focus on its other releases. Do you know when/why they stopped being popular? To be frank, if I had to take a guess, it's because Amuse is selling them to the west through TOM now. They can make more money that way. Arpakasso were pretty awesome and cute when they first started out in machines and we got everything - notebooks, blankets, water bottles, pillows etc. When you see the same series every month, no one wants it. For about 2 years, it's very rare arcades carry Alpacasso as they just sit in machines, compared to the newer Amuse series that fly out. This year, Amuse didn't even release a limited edition Christmas season alpaca. The 8cm straps are actually still popular, but the bigger sizes arcades are finding hard to push the large sizes - which is probably why we aren't seeing much variation now for the larger sizes (only 3 types, when compared to the smaller sizes). I have friends and tumblr followers who came to Japan hoping to win Alpacasso, and they can only find the 8cm. I posted pictures of arcades in Sendai - they have so many left over that they are using them as decoration for machines. The Mameshiba dogs and Hamsters are Amuse's current hits. By now Amuse would have announced a September release, too. I wouldn't be surprised if we get 6 new releases next year (compared to the 14ish we got early on). GRAY ALPACASSOS?!?!?! AHHH YESSS!!! And just in time for my birthday too! It's perfect omgg :'3 I love that amuse is starting to try out new colors! I honestly was kinda getting tired of the generic white, beige, and pink selection.. I also love the new fur texture!! @Kittyblacksheep wrote: To be frank, if I had to take a guess, it's because Amuse is selling them to the west through TOM now. They can make more money that way. Arpakasso were pretty awesome and cute when they first started out in machines and we got everything - notebooks, blankets, water bottles, pillows etc. When you see the same series every month, no one wants it. For about 2 years, it's very rare arcades carry Alpacasso as they just sit in machines, compared to the newer Amuse series that fly out. This year, Amuse didn't even release a limited edition Christmas season alpaca. Good thing I'm getting really obsessed with the mameshibas amongst other things. 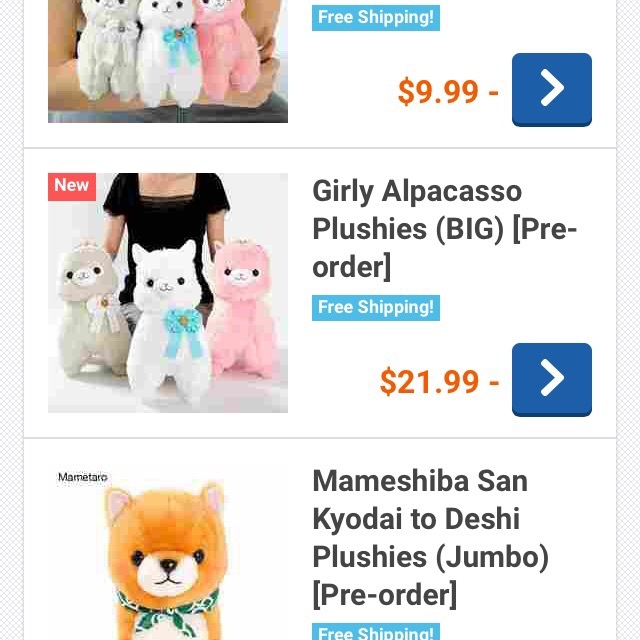 Alpacasso is still my favorite, so it's sad to not see them as popular (meaning they will eventually die out) but eh, I collect so many things maybe that will help my wallet?? The Mameshiba are so cute! I think someone on Tumblr did post a picture of the September Korohamu Koron: apparently a purple one is coming out now? I'm a bit late to this thread but I'm curious about the big pink Alpacasso's color...everyone seems to think it will be a salmon or a different pink color but to me it looks pretty similar to all the other pink Alpacassos out there like the Hatter, Rainbow, etc. @Ryama-san wrote: I'm a bit late to this thread but I'm curious about the big pink Alpacasso's color...everyone seems to think it will be a salmon or a different pink color but to me it looks pretty similar to all the other pink Alpacassos out there like the Hatter, Rainbow, etc. I know that "ko" in a name usually means "child" or "small" but thats usually at the end of names. (I do know that Korilakkuma in the Rilakkuma series is an exception to this, though, ehehe). Its really hard to tell about the colours and stuff in the photos for me because it seems like they brightened the photo way too much with a filter or something. I don't know if its just my eyes though or its supposed to be like that. I'm so excited this alpaca is actually grey! Most of my collection are small pacas, but I want to buy a huge grey. I hope Rosy will sell 'em. I can't wait. ^^"
I just ordered some of these tonight when they popped up on TOM, but now my whole order is listed as "back-ordered" even though everything is still showing as in-stock and ready to ship in two business days on the website. I already contacted support, but does anyone here know what that means, or have had it happen to you before? i'm gonna order two sets once it's fixed and divide it amongst people i can find in toronto. i assume the standard set will be 35 USD once the price is fixed and 52 USD for the big trio. I just ordered the large grey and it was advertised with free shipping but I still got charged :/ I emailed them about it so hopefully they'll credit me. Get your act together, TOM! @DisneyBunny wrote: I just ordered the large grey and it was advertised with free shipping but I still got charged :/ I emailed them about it so hopefully they'll credit me. Get your act together, TOM! Meljane9 told me it probably refers to if you buy the whole set since that would be over $100, but they don't specify that anywhere so I think they should compromise with me. 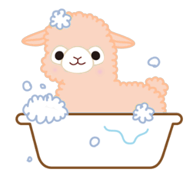 I don't feel like they'll give it to you since once you've selected the item on the page of the alpaca the free shipping sign disappears. The free shipping is always referring to the whole set, for alpacassos :/ Ask for a full refund then. They also have a discount for some other alpacassos but it's only for the white ones. As for the prices of the sets, they will be more than what it costs to buy all items individually because the "set" comes with the alpacasso pin.. Not as a freebie, but as something that costs extra money. It is like this on all sets that include the alpacasso pin.